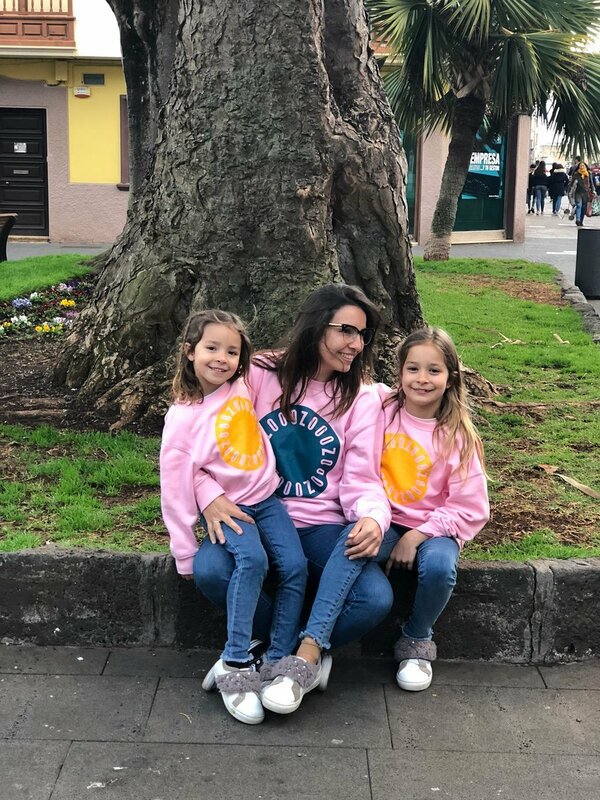 Carlota, who is 9 years old, and Violeta, who is 6 years old. Seeing that my daughters are happy. That's the most important thing in the world to me. Trying to educate them. I try to make sure I give them values that can help them to grow and be happy, while also making sure they respect every single person and to learn from everyone. It can be a real challenge! This is a very difficult question, but I would say trust your instincts! Believe in yourself. Only you know how your child is, even if he or she is the first one. For sure! Right now we are working on the opening of my new physical shop! It´s called "The Mom´s Rules". It´s a place for mom meetings, talks, and a shopping experience. I look forward to selling many products for kids as well. In addition, we will have our own workshop in the shop, and in winter we will be making a unisex collection for Zooo Society.